Let’s be real, space selfies are light years better than the average Instagram styled selfie. Photos taken of space from space are like the ultimate travel photos. It probably has something to do with the fact that some astronauts, like Buzz Aldrin, were orbiting earth at speeds of 17,000 mph and just casually snapped a selfie like what they’re doing is no big deal. As Aldrin explains in the interview below, he was supposed to be photographing ultraviolet stars, but when the sun rose and he could no longer see the stars, he turned the camera on himself because he was curious to see what it would like and, you know, why not?. Listen as Aldrin tells the story behind pioneering the space selfie, then read on to see how you can take a space selfie of your own. Since Aldrin captured that now famous self portrait back in November 1966 during the Gemini 12 spacewalk, the trend of space selfies has been gaining momentum. The next thing you know, astronauts from everywhere started photographing themselves in space. 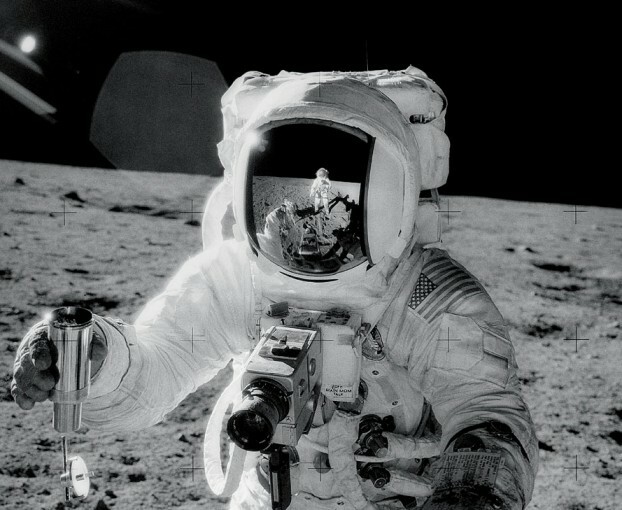 Charles Conrad got on the space selfie bandwagon in 1969 when he took this photo of himself standing on the surface of the moon using the reflective visor of fellow astronaut Alan Bean’s helmet. The term “space selfie” even has its own Wikipedia page and now a Belgium based group, SpaceBooth, is aiming to launch a service that allows anyone with internet access to take a space selfie. The team at SpaceBooth is manufacturing a pico-satellite which is smaller than the average smartphone and will be launched into low-earth orbit. People will then be free to upload a selfie (or any kind of photo) that was taken on earth to the pico-satellite where it will be projected onto a window of the tiny spacecraft and before it takes a photo of your projected selfie floating through space. So, while you’re not physically going into space, the photo you upload technically is. SpaceBooth offers no guarantee what will be in the background of your image since they will not have control of the satellites orbit once its in space. The idea of a random background, however, is kind of appealing if you like the element of surprise. SpaceBooth is on track to launch by the end of this year (2014), which is just around the corner and, according to their website, will be 100% free to users. Though, they do limit each account to one image to ensure everyone has a chance to get one. At that price point, I’m not sure what you have to lose, so I have to ask, would you send one of your photographs into space? Hey Tiffany: It’s = it is. Its = possessive. 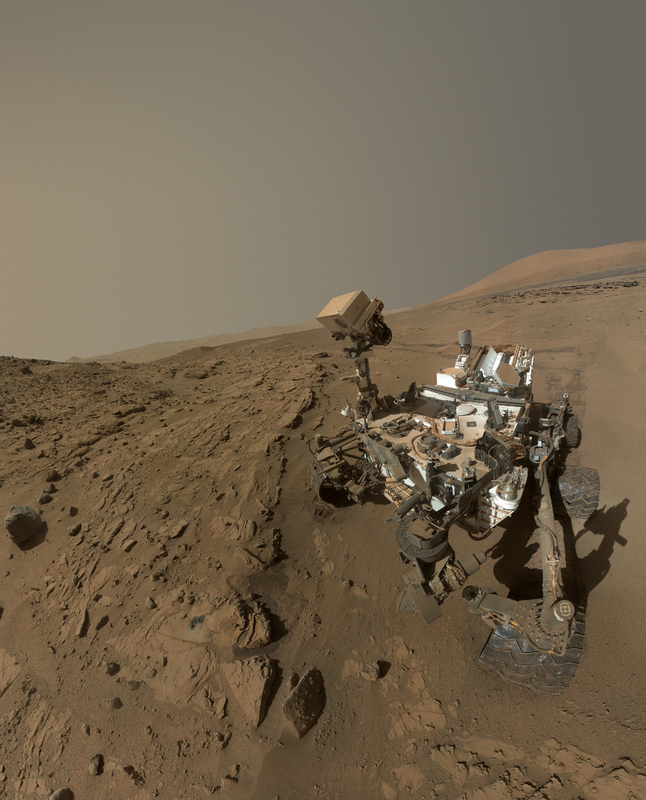 how the curiosity’s picture is a selfie?! gotta be kiddin mate. where is the arm? !